Designed to conform to the most rigorous and extensive workouts, the Livestrong Pro1 treadmill is designed with high-quality materials, advanced features, and durable components to provide an excellent running performance. Comes with a powerful motor, sturdy deck, large rollers, and maintenance-free belt, this treadmill is ready for heavy use and designed to provide a long-term solution to your fitness needs. Whether you are trying to lose weight, tone your muscles, or improve your cardio performance, the Livestrong Pro 1 can help you achieve your fitness goals. Designed to withstand intense workouts, this machine is ideal for both walking or running. If you want to invest in an exercising machine that will not let you down after just a few years of use, the Pro 1 treadmill should be on your list. It is built to become your long-term fitness partner. 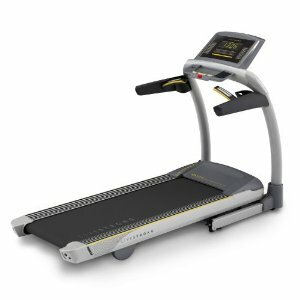 Constructed with high-quality, durable parts, the Livestrong Pro 1 treadmill guarantees outstanding performance with utmost support, comfort, and safety for its users. Its features are mechanically designed to accommodate demanding trainings. Another powerful mechanism of the machine is its motor. Built with a high-performance 3.0 HP continuous-duty motor, it provides a strong yet smooth and quiet run during each of your workout session. So no matter how intense you do your workout, you don't need to worry of any possible drawback. To make your running experience similar to that of the outdoors, the machine comes with a RunnersSoft™ cushioning system that delivers extra comfort and convenience. You will feel extra support for every stride, reducing impacts and stress on your joints. Now, if you easily get bored with the same old running routines, this machine presents you with 23 workout programs to choose from! Customize them even further by changing speed intervals and incline and you'll be sure to achieve your maximum fitness performance. And like other Livestrong treadmill models, the Pro 1 is designed with the Livetrack Interactive™ technology that allows you to record and playback your workout routine. Simply use a USB drive, plug it into the machine's console every time you run, and once you're done, you can connect it to your computer to review your workout statistics. 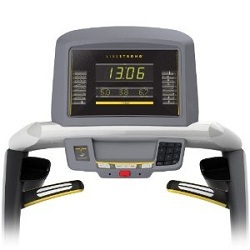 Other appealing features that you may want to know about the Livestrong Pro1 treadmill include a folding frame for easy storage, extra-large LED window display, wireless heart rate grips and heart rate monitor, and a long warranty program. The biggest weakness I see with this machine, just like other Livestrong treadmills, is that Livestrong is pretty new in the treadmill market. So unlike established brands, we'll never know if the company would still be around a few years from now. But the good news is that most parts used in Livestrong treadmills are also being used by other Johnson Health Tech brands so finding parts if ever the company collapses wouldn't be so hard. If you plan to buy a Livestrong Pro1, I suggest you buy from livestrongfitness. You can get it for just $1,499.